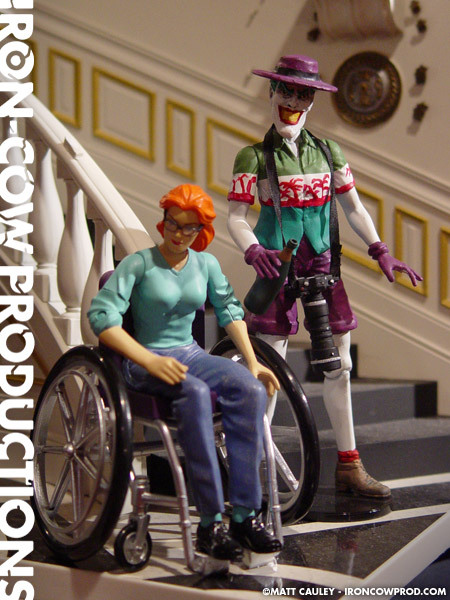 Easily the most sadistic of all Batman’s villains, Joker stooped to a new low when he paralyzed the daughter of police commissioner James Gordon in the essential Joker story “The Killing Joke.” Though he only appeared in this unusual attire for all of two pages, the image was so haunting I felt it necessary to attempt a customized version. 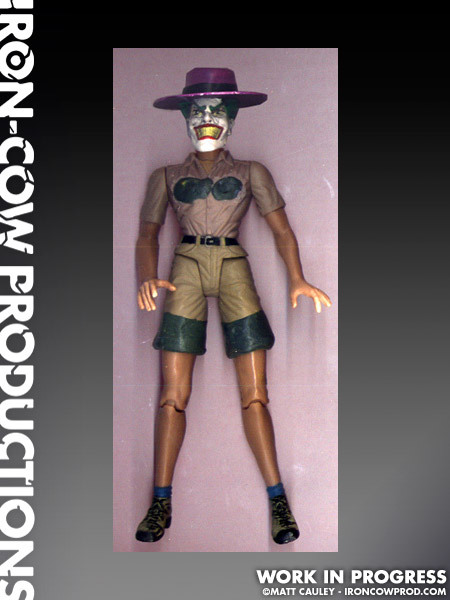 The Killing Joke Joker uses a reworked Terri Irwin figure from the Crocodile Hunter line. 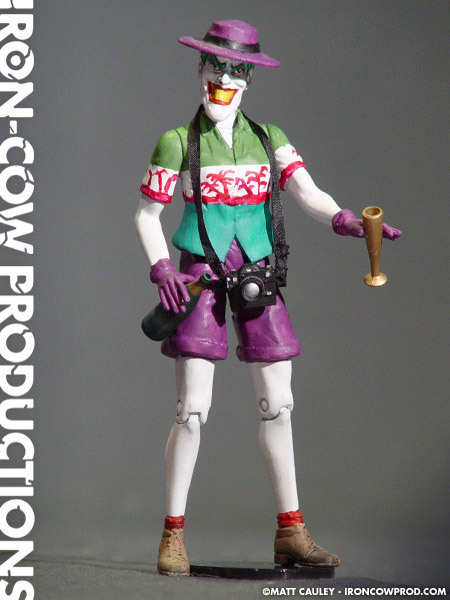 I really had to sand down the chest area and fill out the waist to help switch the genders of the figure. 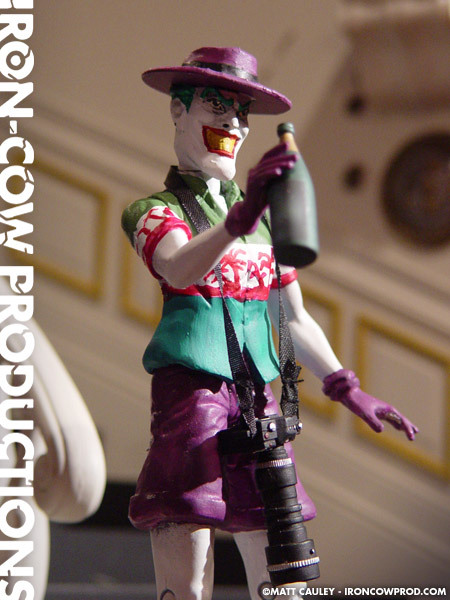 It worked to a degree, but… well, the figure still looks female from certain angles. Oh well, not all experiments turn out perfect, but I’m still fairly happy with this project.